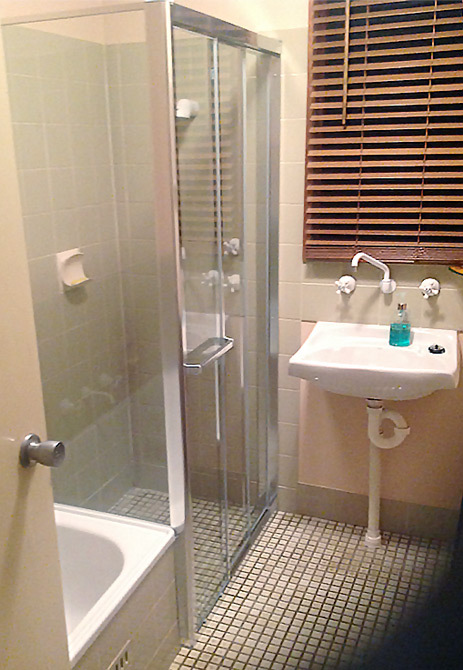 This bathroom had on old wired shower screen with a rusty frame and a rod and curtain for a door (Like many bathrooms). This old dated shower screen made the whole bathroom look tired and dated and feel continuously dirty. Jim’s Glass came out and removed the old showerscreen and installed this new front and side framed system with sliding doors. As you can see this has transformed the bathroom giving it a fresh clean look and feel, for not much more in cost than replacing the old wired screen. Have you considered upgrading your bathroom? Call Jim’s on 131 546 for a quote!